Physique 57’s Tanya Becker previously shared some awesome workout moves you can do with your baby. Today she shares her post-pregnancy workout tips. Hey, they worked for her after she had twins…. Beginning my journey back into the fitness world, both as a teacher and a true student, has given me a completely new perspective for how amazing the human body is and how important it is to stay healthy and fit. After giving birth to my twins via C-section, it was quite eye opening to realize I wouldn’t be able to jump right back into working out. 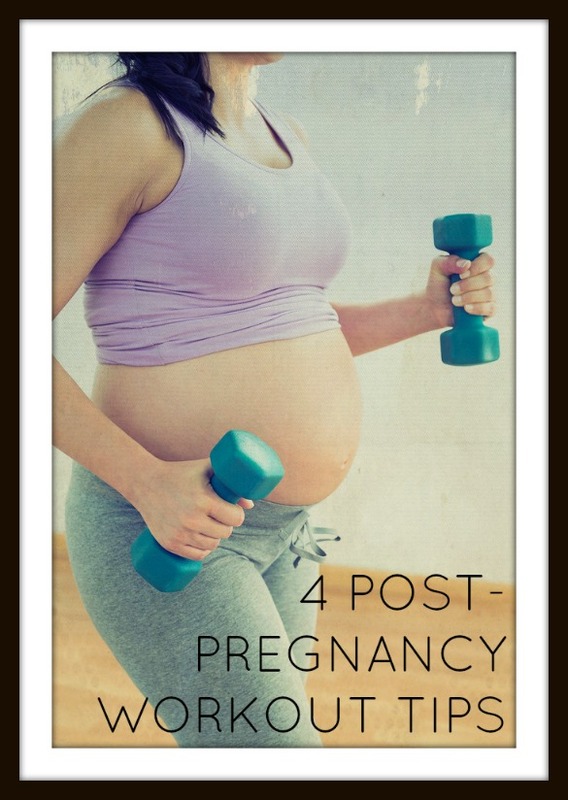 Here are four tips that have helped guide me through my postnatal fitness journey. 1. Patience. It took nine months to put on the baby weight, so it will take some time to lose it, too. It’s not about bouncing right back. I put on 70 pounds during my pregnancy. I’ve already lost 50 pounds, and I’m working on losing the rest by working classes and teaching back into my schedule. It’s important to stay focused on yourself and remember to not compare yourself to other women post-pregnancy (everyone has their own journey). The women in our pre/postnatal classes are an inspiration to keep exercising through my fitness journey. 2. Easy does it. Don’t be afraid to pace yourself. After having a baby it’s normal to lose a lot of strength in your core. At Physique 57, we use our core 80 percent of the class so it shouldn’t have come as such a surprise how challenging my first class back would be. The plank position has been the most challenging; I started by holding the plank in 10-second increments and building from there. Push-ups have also been a bit difficult so to build my strength back up, I’ve started doing started doing them at the barre (or against a countertop). It’s so amazing how different everyone is! I couldn’t stand “pregnancy” pillows! ? tried two and didn’t use either.